Expert cheesemakers and a commitment to quality products? That’s Klondike. Most people know that Wisconsin does cheese really well. And hopefully you, our guests, know that our company does local really well. When you combine those two things — local and cheese — you come up with an incredibly rich cheesemaking tradition like the one at Klondike Cheese, which is a fourth generation, family-owned business in Monroe, which is about 40 miles south of our store in Madison. 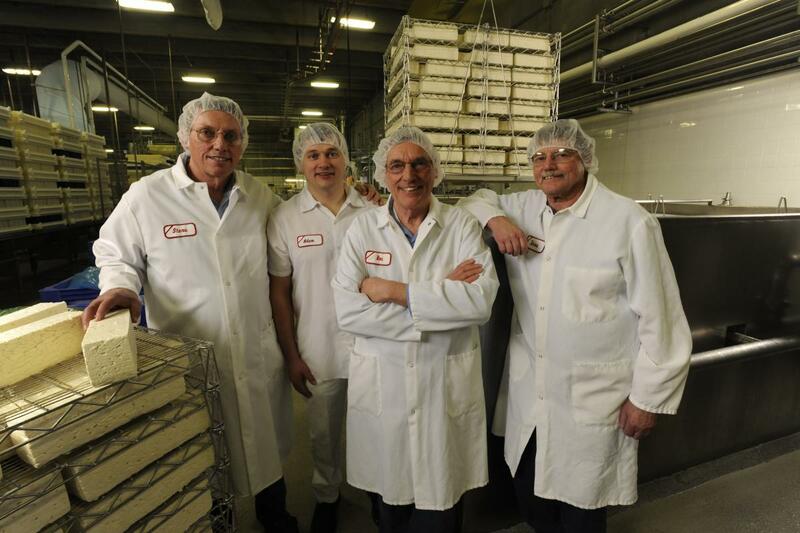 The company, founded in 1925, has four Wisconsin Master Cheesemakers in one plant—brothers Ron, Steve and Dave Buholzer, and Steve’s son Adam Buholzer. The company is known for award-winning Feta, sold under the Odyssey® label. The Feta is made in a traditional-style, along with varieties that include Mediterranean, Tomato Basil, Peppercorn, Sweet Heat, Reduced Fat and Fat Free. These cheeses have been awarded top honors in the United States Championship Cheese Contest, the World Championship Cheese contest and the American Cheese Society competition. Look for the delicious Klondike cheeses in our Deli. And when you find them, you’ve got to try them in one of these dip recipes! Klondike Cheese Co.® also produces Odyssey Greek Yogurt®, rich and creamy in flavor and texture with twice as much protein and less sugar than regular yogurt. Odyssey Greek Yogurt is available in 0%, 2% and 10% fat, plain and flavored varieties. The company also makes sour cream, Muenster, Brick, and Havarti. Why does Klondike’s cheese taste so good? The company attributes its award-winning success to the high quality milk it receives from 80 local family farms. And the company has incredible team members as well as its four Wisconsin Master Cheesemakers. What does having four Wisconsin Master Cheesmakers say about Klondike? It tells you that experience, technical expertise and artistry went into making their cheese. The Wisconsin Master Cheesemaker program is administered by the Center for Dairy Research at the University of Wisconsin-Madison. It’s open to veteran Wisconsin cheesemakers with a minimum of 10 years’ experience in Quality Assured plants. Candidates can seek certification for up to two cheese varieties each time they enter the three-year program and they must have been making those specific varieties for at least five years. The expertise at Klondike has meant some serious hardware along the way. Just this year, in the United States Championship Cheese Contest, the company took home five first place honors and swept the top-three finisher spots in two categories.